America - When Americans think of November, they think of Thanksgiving, and when they think of Thanksgiving, they think of Pilgrims settling the "New World" that came to be known as America. So, why not name your baby girl after the land whose bounty the Pilgrims gave thanks for? This name makes a lovely and patriotic choice for any parent—unusual, yet eminently familiar at the same time. Cecilia - The patron saint of musicians, St. Cecilia has her feast day on November 22. According to various stories, St. Cecilia either sang directly to God on her wedding day or sang to him as she died. Regardless of which story you choose to believe, St. Cecilia was clearly both deeply musically gifted and spiritually inspired. Cecilia is a beautiful name for a baby girl born in the month of November, and it has strong connections to art, music, and literature. Famous Cecilias include opera diva Cecilia Bartoli; characters in Charles Dickens' Hard Times, Ian McEwan's Atonement, and Suzanne Collins' The Hunger Games; and Jim and Pam's daughter on The Office. Nicknames for Cecelia include the spunky Cece and lovely Celia. Emi - A Japanese name meaning "beautiful blessing," Emi (pronounced "Emmy") perfectly reflects the spirit of thankfulness that so many feel in the month of November-- and no one more than the parents of a newborn child. Evie - Apart from Thanksgiving, November is known as the month of Guy Fawkes Day, a British holiday celebrated on November 5th to commemorate the failure of a Catholic plot to blow up King James I during the opening of Parliament in 1605. People around the world became familiar with the holiday (and Guy Fawkes as a symbol of righteous protest) through the graphic novel and movie V for Vendetta, whose protagonist (played by Natalie Portman in the movie) is called Evie. A lively nickname for Evelyn, Eve, Evangeline, and Genevieve, Evie means "life." Georgia - Born on the fifteenth of November in 1887, Georgia O'Keeffe was one of the greatest painters of all time, composing lush and beautiful closeup images of flowers. Known as "the Mother of American Modernism," Georgia O'Keeffee would be a fabulous namesake for a November baby. Ginger - For many people, nothing says "fall" more than pumpkin spice, and while I wouldn't recommend naming your child after a popular Starbucks drink, Ginger is a spirited alternative that evokes the warm flavors and colors of the season. Often short or Virginia, Ginger has been the name of entertainers from Ginger Rogers (born Virginia Katherine McMath) to Ginger Spice (born Geri Halliwell). Grace - This simple, yet elegant virtue name calls to mind both Thanksgiving prayers and the gorgeous actress and Princess of Monaco, Grace Kelly, who was born on November 12, 1929. Although originally popularized by the Puritans, Grace has a far more modern and stylish feel than fellow virtue names like Patience, Temperance, and Prudence. It is currently among the top 25 names in Ireland, the U.K., the U.S., Australia, and Canada. Marie - A classic French variation on Mary, Marie was the name of the Nobel Prize winning scientist Marie Curie, born on November 7, 1867. 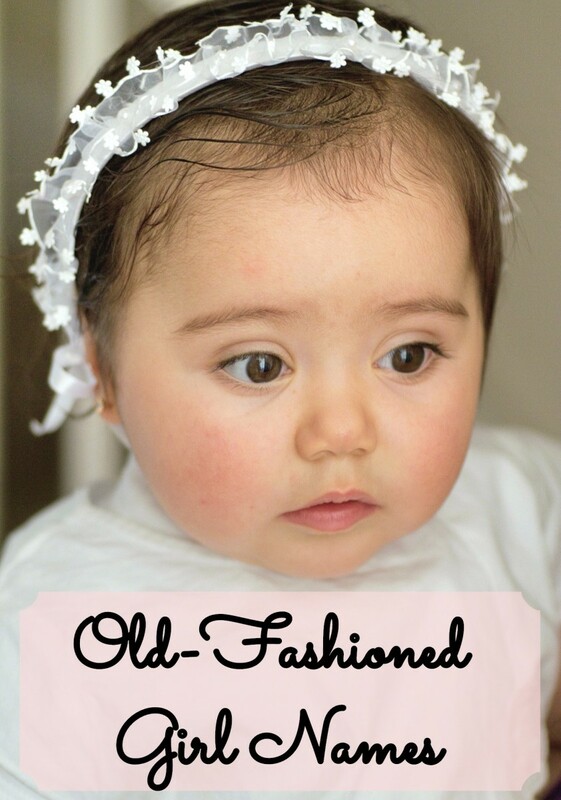 Although perhaps a bit old fashioned by itself, Marie makes a lovely middle name and can be combined with a number of other names to create options like the popular Annemarie or French-sounding hyphenates like Marie-Elise, Marie-Christine, and Eva-Marie. May - While this name may seem more suited to the spring, it is also appropriate for a baby born around Thanksgiving time, as it recalls the name of the Mayflower, one of the ships that brought the pilgrims to Plymouth. May was the nickname of Mary of Teck, the Queen Consort of George V of England, as well as the sultry silent film actress Mae West. May has also enjoyed a long history as a popular middle name, going back to Little Women author Louisa May Alcott and beyond. Mercy - A lovely and underused name of Puritan origins, Mercy is a unique alternative to more common virtue names like Grace, Hope, Faith, and Charity. It was the name of Salem witch trials witness Mercy Lewis, who appears as a character in Arthur Miller's The Crucible. 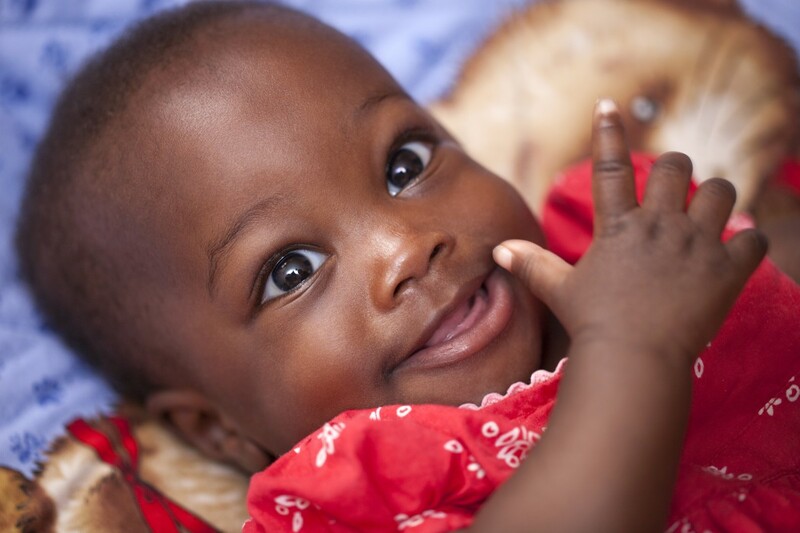 More recently, Madonna renamed her adopted daughter Mercy James. Rosemary - Another kitchen spice name for a Thanksgiving baby, Rosemary has been a popular moniker since medieval times. It combines two lovely names that many parents may find too plain and simple to use on their own, and it evokes thoughts of the aromatic herb. In Greek mythology, rosemary was draped around the goddess Aphrodite as she emerged from the sea, and thereafter, it was regarded as a symbol of faithful love and memory. Accordingly, in Shakespeare's Hamlet, Ophelia says, "There's rosemary, that's for remembrance; pray, love, remember." Famous Rosemarys include White Christmas star Rosemary Clooney, JFK sibling Rosemary Kennedy, and of course, Rosemary's baby protagonist Rosemary Woodhouse. The French alternative Rosemarie combines the name with an earlier entry on this list. Sadie - November 15 is Sadie Hawkins Day, making this cute and classic name perfect for a November girl. Originally a nickname for Sarah, Sadie shares its regal meaning, "princess." Fun and sassy, the name Sadie was chosen by comedian Adam Sandler, actress Christina Applegate, and hockey player Patrick Sharp for their daughters. It's a feminine, but arguably feminist choice for a little girl who won't be afraid to ask the boys to dance someday. Shakira - An Arabic name meaning "grateful" or "woman of grace," Shakira is an unusual but fitting name for a baby girl born in the month of November. It is, of course, best known as the name of the superstar Colombian singer Shakira. Truth - The third and final virtue name on this list, Truth was not a common Puritan name, but it was the surname of famous abolitionist and women's rights activist Sojourner Truth, who died on November 26, 1883. Although Truth was born into slavery and therefore, her birth date is unknown, her life is commonly celebrated on her November death date. Born Belle Baumfree, Truth renamed herself in 1843 to express her calling from God to preach the abolition of slavery. Her story makes the already meaningful name truly inspiring. Zendaya - In the Bantu language of Zimbabwe and Zambia, Zendaya means "to give thanks." 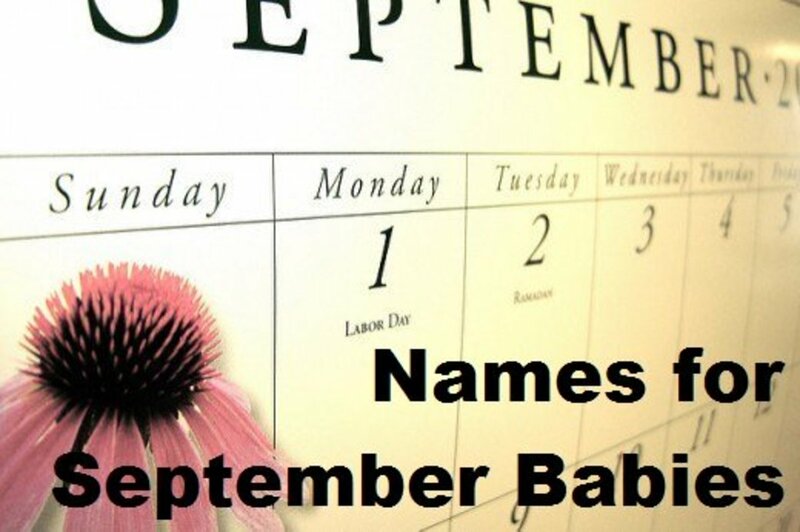 Therefore, it is a highly appropriate name for a November-born girl. However, you will have to contend with the name's nearly exclusive association with the Disney Channel star. 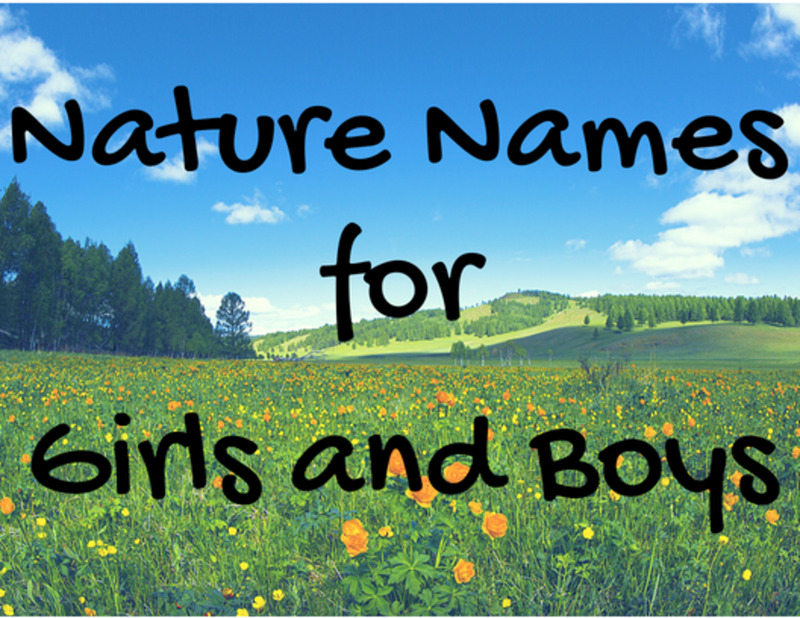 What is your favorite November-inspired name for girls? Andrew - The patron saint of fishermen, singers, and several countries, including Scotland, Russia, Romania, and Ukraine, St. Andrew has his feast day on November 30. Another famous Andrew, billionaire philanthropist Andrew Carnegie, was born on August 25, 1835. 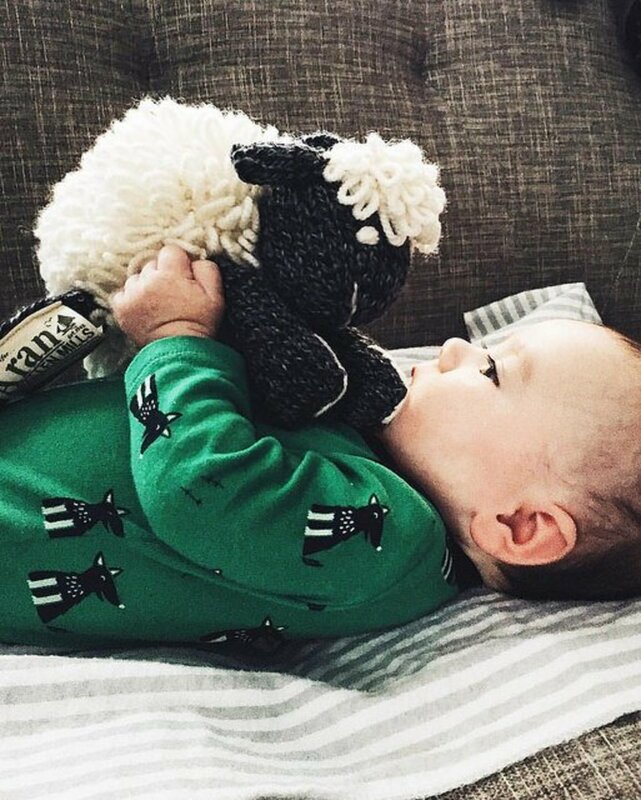 A classic name, Andrew means "strong and manly," and it is the most popular boys' name among highly educated parents. It has been the name of two US presidents, Jackson and Johnson, and the current Duke of York. Barack - Although still an uncommmon name in English speaking countries, it was made eminently familiar by the 44th President of the United State, Barack Obama. Is both a Barack a Swahili name meaning "blessing" and a variation on the Hebrew Barak, meaning "lightning." It is an appropriate name both for a Thanksgiving "blessing" or an election day baby. Benedict - A Latin name meaning "blessing," Benedict is a perfect moniker to show your thankfulness for a baby boy born in the month of November. St. Benedict was the founder of the Benedictine Order and the patron saint of students. Benedict has also been the name of fifteen popes and the actor Benedict Cumberbatch. It has the charming association with Shakespeare's romantic hero Benedick and the not-so-charming association with the Revolutionary War traitor Benedict Arnold. In addition to being a fitting name for a November baby, Benedict is a more unusual way than Benjamin to get to the popular nickname "Ben." Boone - A French name meaning "blessing," Boone was the surname of the American frontiersman Daniel Boone, born on November 2, 1734. A moniker with woodsy outdoorsman swagger, Boone was the first name of wealthy Boone Carlyle on the TV show Lost. 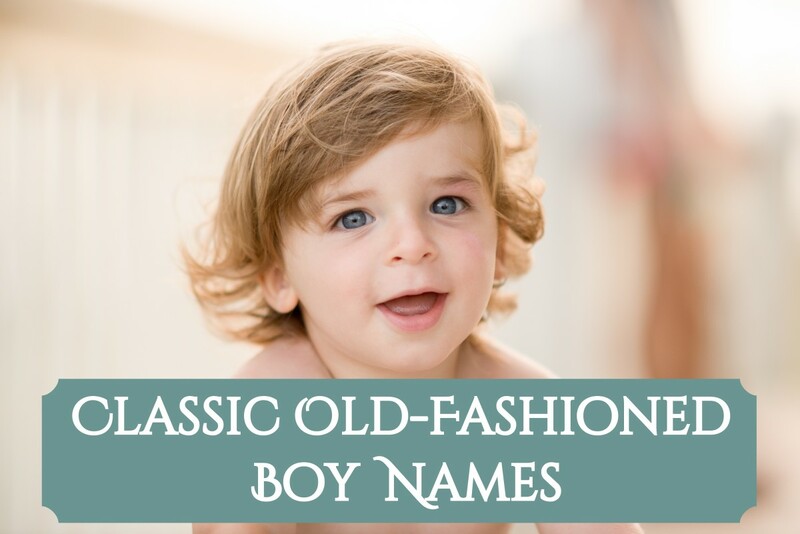 Charles - Charles is another classic name for boys, and for some reason, loads of them were born in the month of November. There are aristocratic ones, such as the current Prince of Wales (born on November 14, 1948) and King Charles I (born on November 19, 1600); creative ones, such as Charles Schulz (born on November 26, 1922); powerful ones, like Charles de Gaulle (born November 22, 1890); and unfortunately, deranged ones, like Charles Manson (born November 12, 1934). Other famous Charleses include Charles Dickens, Charles Darwin, Charlie Chaplin, and of course, the great French emperor Charlemagne. Donatello - An unusual Italian choice, Donatello may bring to mind the purple clad Ninja Turtle. However, it was also the name of a famous Italian sculptor, and it means "to give," making it an appropriate choice for a boy born in the month of Thanksgiving. Guy - Apart from Thanksgiving, the most well-known November holiday might be the British celebration of Guy Fawkes day, which celebrates the failure of a Catholic plot to murder King James I. Many are familiar with the famous rhyme on the subject: "Remember, remember the fifth of November, the gunpowder treason and plot. I know of no reason the gunpowder treason should ever be forgot." Although to many, Guy Fawkes is a villain burnt in effigy, the graphic novel and film V for Vendetta made him something of a cult hero and symbol of righteous rebellion. The Guy Fawkes mask used in Guy Fawkes Day celebrations has since become the symbol of resistance movements like the hacktivist group Anonymous. Other famous Guys include American chef Guy Fieri and French author Guy de Maupassant. 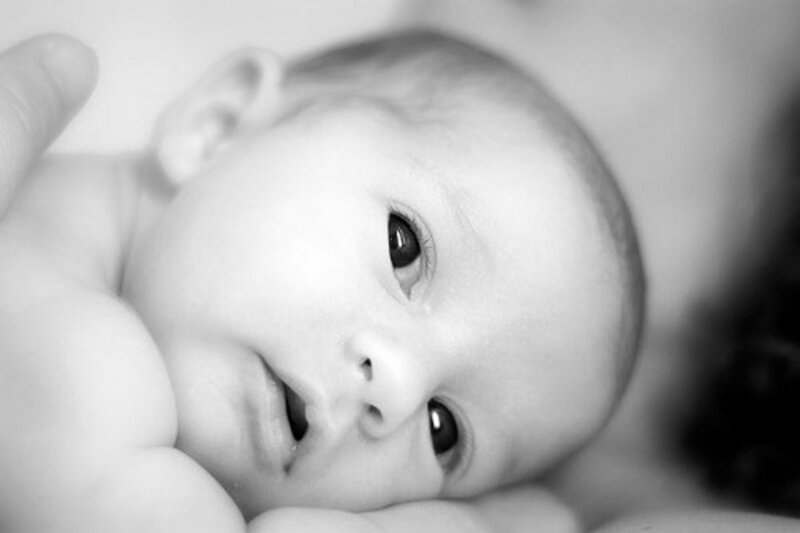 Jayden - Although a tad too trendy for many parents' tastes, the Hebrew name Jayden (or Jaden) means "thankful," making it perfect for a November baby. Jadon was the name of a biblical hero who helped rebuild the walls of Jerusalem. More recently, Will Smith and Jada Pinkett Smith chose it for their son Jaden, and Britney Spears and Kevin Federline chose it as the name of their son Jayden. Jonathan - A biblical name meaning "gift of Jehovah," Jonathan is a good choice for parents looking to thank their power for granting them a child in the month of Thanksgiving. It has been the name of writers Jonathan Swift and Jonathan Safran Foer, actors Jon Hamm and Jonathan Rhys Meyers, and comedian Jon Stewart. Mark - A strong Latin name meaning "warlike," Mark was the name of one of Jesus' apostles, who authored the second gospel. It was the pen name chosen by Samuel Langhorne Clemens (Mark Twain), born November 30, 1835, and it is the given name of Hulk actor Mark Ruffalo, born November 22, 1967. Other famous Marks include Mark Zuckerberg, Mark Wahlberg, and Mark Hamill. Matthew - Yet another biblical name expressing thankfulness, Matthew is a Hebrew moniker meaning "gift of God." Matthew was one of the twelve apostles and the author of the first Gospel. Movie star Matthew McConaughey was born on November 4, 1969. Other famous Matthews include actors Matthew Broderick, Matt Damon, Matthew Perry, and Matt LeBlanc, along with poet Matthew Arnold, superhero Matt Murdoch (AKA Daredevil), and Downton Abbey heir Matthew Crawley. Oceanus - In Greek mythology, Oceanus was the Titan who ruled the ocean. It was also the name given to the first and only baby born aboard the Mayflower as it crossed the Atlantic, Oceanus Hopkins. Parents looking for a softer, more modern version of the name might opt for Ocean. Peregrine - The second baby born aboard the Mayflower (but this time after the crossing, as the ship docked in Provincetown) was named Peregrine White. Therefore, Peregrine was the first English child actually born in the New World. Peregrine means "traveler or pilgrim" and can also refer to a particularly powerful breed of falcon often used in falconry. There have been a few Catholic Saint Peregrines, as well as the Hobbit Peregrin Took in J.R.R. Tolkein's The Lord of the Rings. Some more approachable nicknames for Peregrine include Perry and Pippin. Spencer - The modern-sounding middle name of British World War II hero Winston Spencer Churchill, born on November 30, 1874, Spencer is quite popular today among both boys and girls. An aristocratic British surname, Spencer was the maiden name of Princess Diana (a distant cousin of the former Prime Minister), the surname of the poet Edmund Spenser, and the first name of Spencer Perceval, the only British prime minister ever to have been murdered. The latter was born on November 1, 1762. William - Most of what we know about the Pilgrims' voyage to America comes from William Bradford's Of Plymouth Plantation. Bradford was a signatory of the Mayflower Compact and the longest-serving governor of the Plymouth Colony. Other famous Williams include the eccentric poet William Blake, born November 28, 1757, and the English King William III, born November 4, 1650. 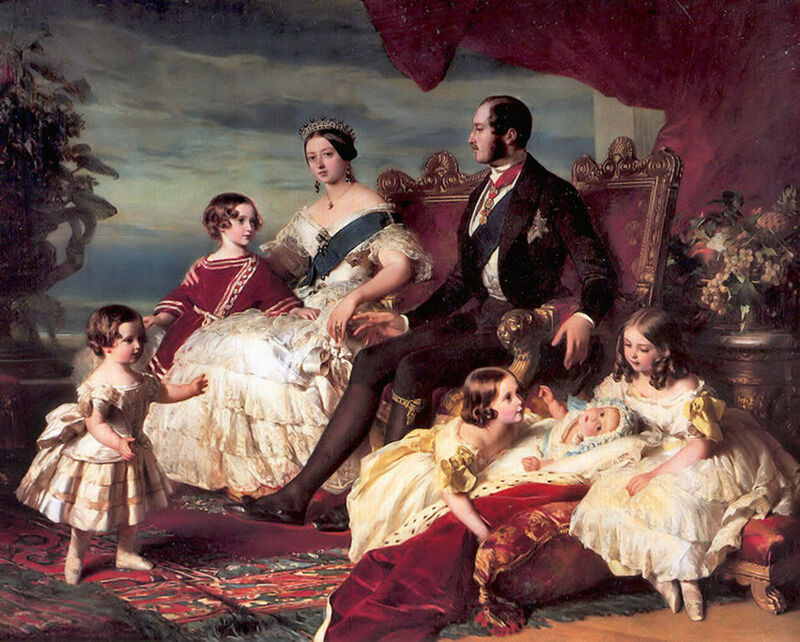 Many famous aristocrats have also borne the name, from William the Conqueror to the current Prince William. Additionally, it has been the name of four American presidents (William Henry Harrison, William McKinley, William Howard Taft, and William Jefferson Clinton) and countless other famous people (playwright William Shakespeare, actors William Shatner and William H. Macy, author William Faulkner, abolitionist William Wilberforce, and Protestant martyr and English Bible translator William Tyndale). 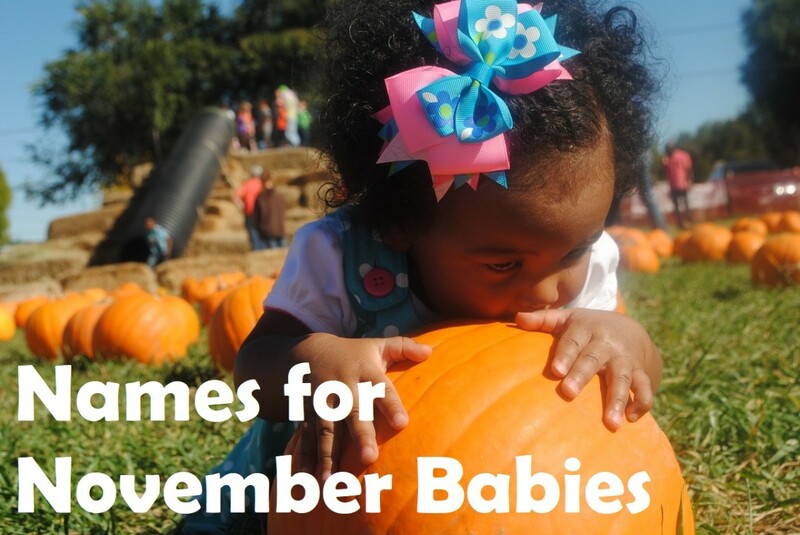 What is your favorite November-inspired name for boys? Thanks, Dora! I'm glad you liked it. Good suggestions and good reasoning. Thank you!